Dar Lighting Artemis single light wall spotlight fixture displays a square back plate with an adjustable spotlight head with both clear and frosted glass. 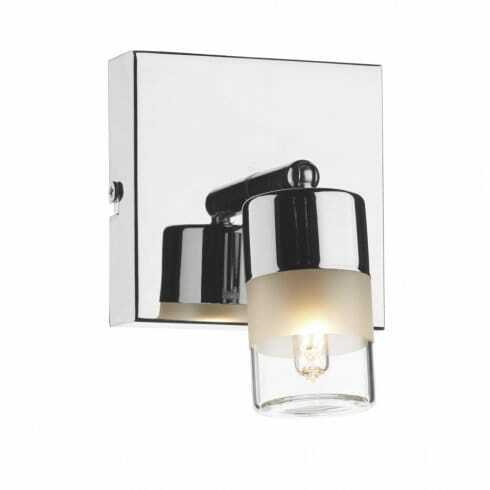 The product code for this Dar wall fitting is ART7150. This creates a stylish look that still emits a good level of light, while the polished chrome metalwork enhances the contemporary look. Double insulated. IP44 moisture protection rated. The range also includes a 2 light wall fixture and a square, 4 light ceiling fitting for a co-ordinated look in your home.